My daughter sadly died from meningococcal W meningitis and septicaemia (MenW) last year when she was just 18 years old. 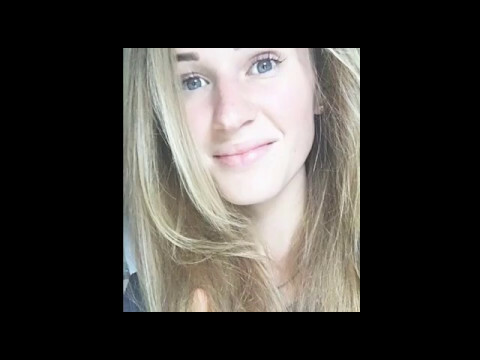 Her name was Lauren Sandell and she went to Woodbridge school in Woodford Green, Essex. What a lot of people/parents do not realise is that a new and deadly strain of MenW meningitis has been increasing rapidly in recent years, and young adults are one of the highest risk groups. Many also do not realise that there is a vaccine available free to young people Lauren’s age and they need to get it from their GP to protect themselves. It’s called the MenACWY vaccine. I went in to a school in Woodbridge and told Lauren’s story in a sixth form assembly. The response I got from the students and the teachers was amazing. This has spurred me on to create this VIDEO. With exams coming up soon I feel it is imperative that the students receive this information now. Since August 2015 the MenACWY vaccine has been offered to all 14 -18 year olds. Pupils in years 9 to 11 were offered the vaccine through school, but older children should have got the vaccine from their GP. Uptake of the vaccine through schools has been high, but uptake in those who weren’t offered it in school has been worryingly low. The vaccine is available now to year 13s via GPs. By making this group aware of the vaccine it’s more likely that they will book an appointment with their GP to get the vital protection they need. I only heard about the vaccine during the week Lauren was going to start university but the doctors did not have enough of the vaccine for Lauren to have it before she left. They never explained to me the dangers of this MenW strain or that it was life threatening, they simply called it the kissing flu. The vaccine was going to take two weeks to order in. I had booked Lauren in for it but sadly she died before she could get it. The reason I am asking for your help is because a sixth form assembly in your school or college is the best place to get this life-saving information to your students. The danger of this illness is that the symptoms look just like any everyday illness. I hope by watching and hearing about Lauren's tragic story it will prompt all students to go home and book themselves or get their parents to book them in for this important vaccine. If all eligible young people did this nationally we would have a great chance of preventing unnecessary death or disability from meningitis and septicaemia. As a parent who is now having to live without my precious daughter, I feel I have to do all I can to make sure that no other family goes through the nightmare of losing their child. I wish with all my heart that another parent who lost their child to this deadly disease had made me aware so that Lauren could have had the same chance. I am working alongside the charity Meningitis Research Foundation to raise awareness of the vaccine. If you would like to discuss any of the above or talk about the illness in more detail please contact me on 07956 699893/ sharon@kitschservices.co.uk or email Sam at Meningitis Research Foundation samanthaw@meningitis.org.